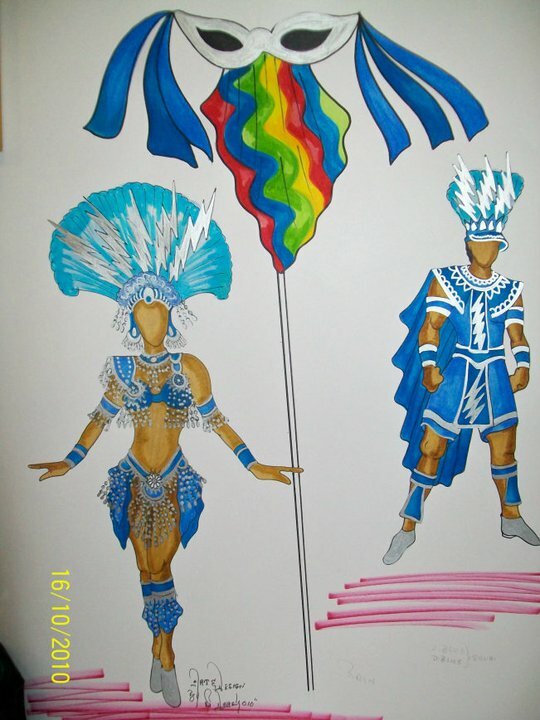 Here is Elskoe & Associates' 2011 ST. Thomas carnival presentation. 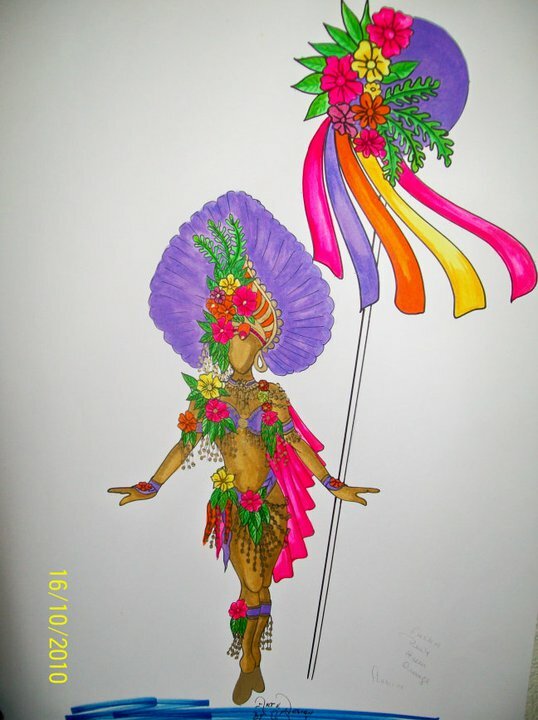 "Rain Don' Stop The Carnival"
"Give Me Her Her Flowers"
Elskoe & Associates Carnival Floupe has become an integral part of Virgin Islands Carnival . From their first year of “Mas” in 1957, as Elskoe & La Beet, to 2010 it has been a non-stop display of cultural excellence. History of Elskoe & Associates, Inc.
Elskoe & Associates Carnival Floupe has become an integral part of Virgin Islands Carnival . From their first year of “Mas” in 1957, as Elskoe & La Beet, to 2008 it has been a non-stop display of cultural excellence. Elskoe & Associates Carnival Floupe was founded by Dorothy Elskoe and Ruth La Beet after four years of participating in Maggie Bryan’s and the late Foster Joseph’s Carnival Troupe. In 1957, the two women along with the assistance of the late Ector Roebuck entered their first floupe, “The Romans”, with thirty-five participants strong. Riding on a chariot pulled by a brown mule, Mr. Roebuck, dressed in an authentic costume, portrayed Julius Caesar, the renowned Roman Emperor. The other floupe members portrayed Roman soldiers and citizens. 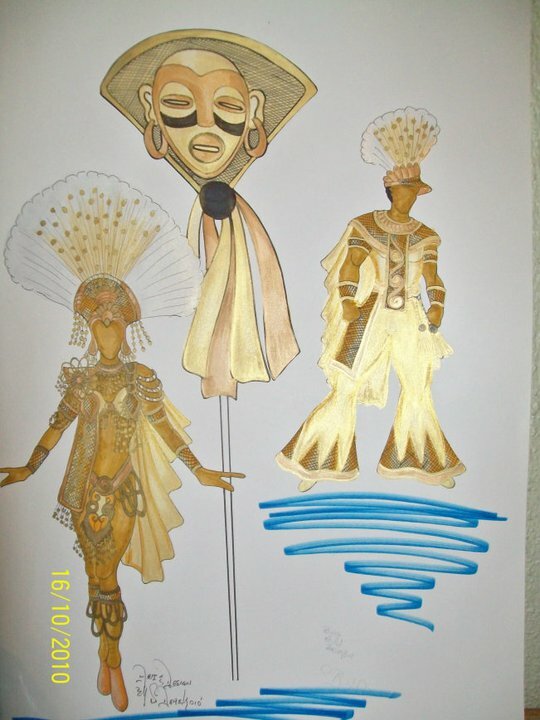 The costumes, at that time were rented from a theatrical company in Philadelphia. Although the floupe experienced many problems that year they walked away with second prize. The next four years the floupe entered themes entitled “The First Thanksgiving”, “Helen of Troy”, “Joan of Arc” and “The Dutch Amstel Beer”. All of the entries were prize winners – three first prizes and one second. In 1962 Elskoe & La Beet boasted a big year portraying a floupe entitled “In Danish Times”. There was a Danish Governor portrayed by the late Bert Petersen, and the Governor’s wife portrayed by the late Providencia Roebuck. Gendermes, aristocrats, other Danish ladies and gentlemen, dock workers, candy sellers, market women, French fishermen, and French ladies completed the entry. The biggest hit was the Danish 20-cent piece carrying three motionless women portraying Queen Mary, Queen Agnes and Bottom Belly. The entry won Elskoe & La Beet a first prize for Carnival that year, but the little did the ladies know that the Danish 20-cent coin would go on to earn them national recognition. In 1970, Elskoe & La Beet took their floupe on the road to the Brooklyn, New York Carnival Festivities and received rave reviews in The Amsterdam News, a black New York publication in a front page article labeled the “Danish Coin”, “A Carnival Masterpiece”. In 1976, as part of the celebration of Bicentennial Anniversary of the United States, they journeyed to Washington, D.C. and participated in the Territories’ Day festivities. The floupes performance in the Rotunda was so well received that they were invited and accepted to perform and give a history of the entry for the students of Park View Elementary in Washington, D.C. Continuing the legacy of excellence, Elskoe and La Beet became Elskoe & Roebuck in 1965. Elskoe & Roebuck continued for the next few years to present historical entries including—“Carnival 1912”, “Spirit of 76”, “Down Memory Lane”, “Let’s Review”, “The Civil War”, “David and Goliath”, “Show People” and “Gathering of Tribes” to name a few. After making several trips to Trinidad Carnival, a decision was made to change our costume style. Albert Bailey and Stephen Derek from Trinidad were invited to work with us as our wire benders and costume makers. Local seamstresses were hired to sew. 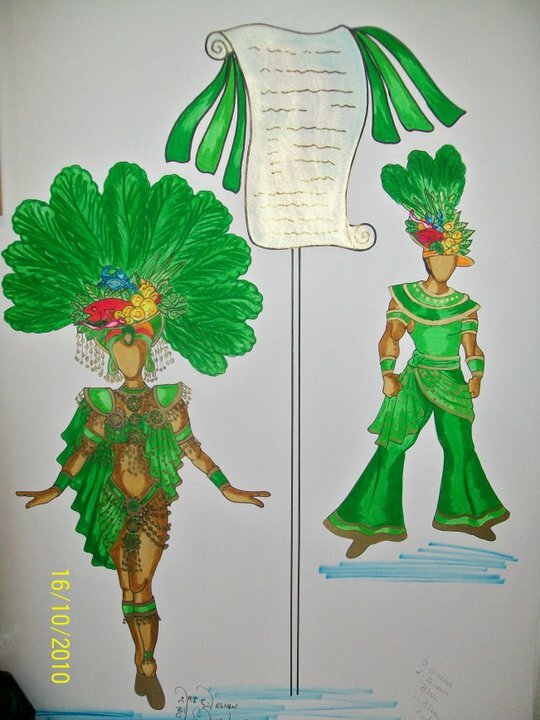 “ In 1972 they presented their first Trinidad style floupe entitled “Celestial Beauty”. The entry took home a first place prize for floupes, and introduced the concept of King and Queen of the Band to the Virgin Islands’ Carnival. The late Faye Elskoe-Liburd and the late Ricardo Osborne were the First King and Queen of the Band. 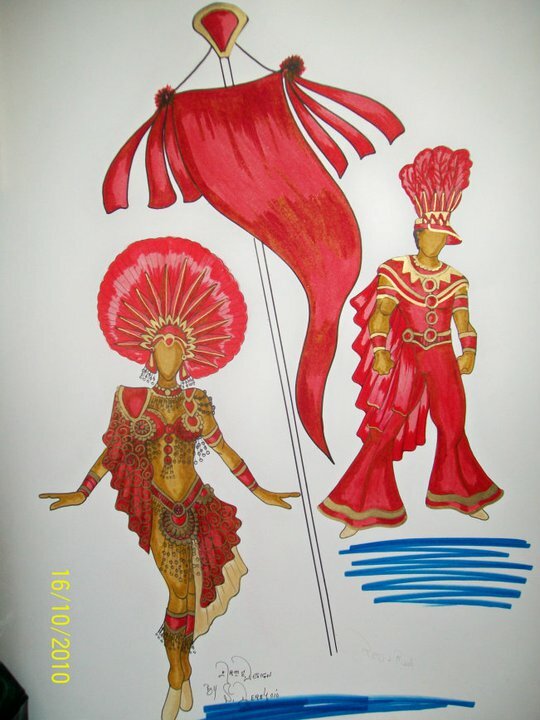 King and Queen of the Band became a Virgin Islands’ Carnival tradition ,since it was first introduced by Elskoe & Roebuck. Since 1972, Elskoe & Roebuck, now Elskoe & Associates, Inc., have used a combination of Trinidad-style costumes and our local mas. In addition to the costumes, the floats have been a huge hit also. Master float builder, Hector Roebuck, assisted by Felipe Ayala built eye-catching, prize-winning and architectural floats up to his retirement in 1985. Though Mr. Roebuck retired from the parade, he still remained active and acted as an advisor regarding float construction and floupe themes and assisted the floupe in any way that he could, until his passing. Elskoe & Associates have won 36 first place prizes, tied for two first place prizes and received 5 second prizes, received one third place prize and did not compete 3 times. Some of these winning entries included “Dreaming Through the Ages”, “The Way It Was”, “Somewhere In the Pacific”, “Where: Beyond the Stars”, “Root of All Evil”, “Peacock Fantasy”, “Splendors of Africa”, “The Golden Touch”, “Party Time”, “Masquerade”, “Legends of the Sea”, “Wonders of Nature”, “Traveling Along” , “Name That Tune”, “Let’s Dance”, and “Then and Now”. In the King & Queen of the Band competition, we have won on over 20 occasions. Other past Queen of the Band entrants include Sonia Morales, Lana Trotman, Eleanor Garcia, Toi Barbel-Thomas, Jennifer Lang, Alphonsine Webster, Aloma Dorsett, Beryl Larsen, Arah Lockhart, Azalia Thomas and Alaine Lockhart-Mollah, Esq. Other past King of the Band entrants include Fernando Hodge, Willie Rhymer, Stewart Newton, Steve Felix, Elroy Donovan Sr., Dr. Winston Alexis, Dwayne Donovan, William “Champagne” Chandler and Alrid Lockhart, Sr.
missing the top ten finals by half of a point. William placed forth out of 21 for the Kings of the World entries. Elskoe & Associates have also had their share of award winning bands providing music for our Carnival parade fetes: Tony and the Rocks, Jeppesen and His Band of Renown, Tremile and the Jamals, Keith and the Mellow Tones, Milo and the Kings, Mandingo Brass (our traveling band), Eddie & the Movements, Jam Band, Express Band, Emphasis Band, Cultural Roots, Fusion, The Ivanna Eudora Kean Devil Rays Steel Band, Grand Masters from St.Kitts, Pan Jammers of Trinidad and our number one band for over 20 years Cool Session Brass. Elskoe & Associates has traveled to many places representing not only themselves but the pride and culture of the Virgin Islands. Some of the places they have visited include Antigua, Tortola, St,Croix, St.John, Puerto Rico, Miami, Atlanta and Canada winning numerous first prizes in the visiting group category.